**if you would like to play along, i would love to see your monthly posts of your life in color, just let me know! letting your stories and all you've learned come through you as a movement in living...I love this thought. I find trends in living and styling to be so interesting...how everyone gets on the same wagon and all the houses start to fade into one another. And inevitably, they lose their own personality. A home should be a reflection of your life and I love to be in a home where it's vibrant and colorful and happy. I think my color lately would be red. I love red in the fall. This sounds like it will be a fun series if you decide to make it one. :) Happy Day to you all! I am your newest follower. #20 to be exact! You have a beautiful tribe. 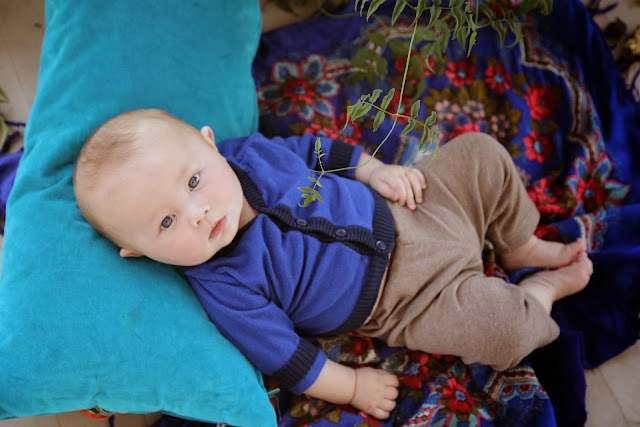 Hold tight to every single moment with your beautiful son. They grow way to fast. Lovely, as always. I'm a huge fan of blue. Love to bring touches of it in my home. 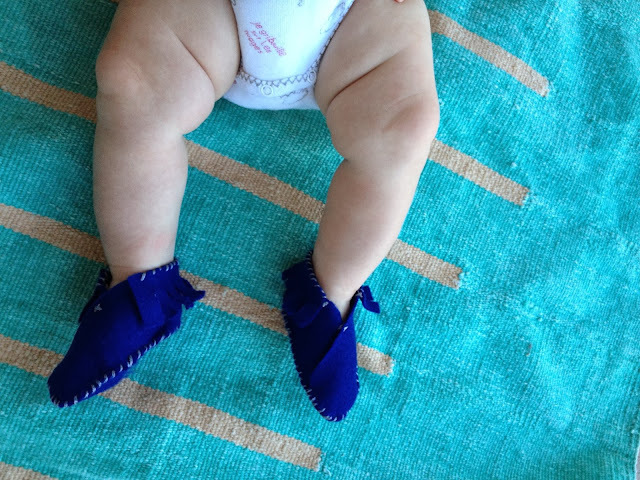 And the blue moccasins on Gus--Adorbs! Email me and I will send you some pics. And, i will give you a coupon code to my jewelry shop!